Action Fraud is warning people to watch out for fraud on the Facebook Marketplace after receiving reports from victims who have tried to purchase items and never received them. Facebook’s Marketplace lets you buy and sell items with people in your community for free. 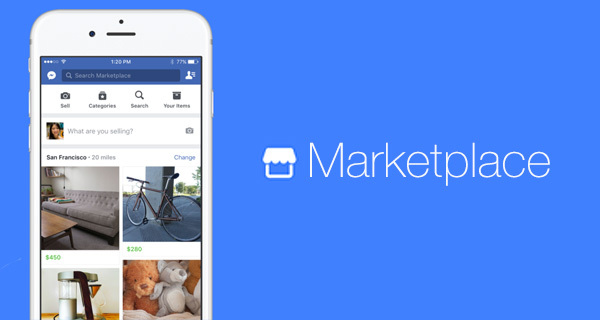 All you have to do to access the Marketplace is tap on the shop icon at the bottom of the Facebook app and start searching. Unlike rival websites such as eBay there is no secure payment facility such as PayPal or feedback systems in place, which means it is up to buyers and sellers to agree on prices and payment methods. People using the Marketplace should exercise caution as it is easy for fraudsters to post pictures of items for sale that either do not exist or are counterfeit. In all the cases reported to Action Fraud, fraudsters have been offering items for sale and demanding that payment is made by bank transfer. When victims ask if payment can be made through PayPal, a variety of excuses are given as to why they cannot.